Can a free website cost hundreds of thousands of dollars? We know a restaurateur who ran one of the local restaurants. We had been there numerous times and they even catered some of our team lunches. Great food, great value and a great experience. We had spoken to them on numerous occasions about how their website was letting them down. On the face of it, the restaurant was very successful, but they were struggling to find customers during the quiet times of the week. There was no database of customers, there was little passing foot traffic to bring in, and although they had a loyal group of repeat customers, I think they were struggling to find new customers. Rising wage costs were also a significant issue for the profitability of the restaurant. You pay your lease 7 days a week, so your restaurant needs to be open as much as possible and your website definitely needs to be working as hard as it can to advertise your restaurant, market your restaurant and create demand and take bookings for your restaurant 7 days a week. Food costs for the average restaurant range between 15 and 30%, so on the quite nights you at least need to be covering the wages of the staff working, as well as making some contribution to the rent and I think that wasn’t happening. Last year they closed completely on Tuesday and Wednesday during winter. We had spoken on 4 or 5 times about the need to find more customers. Their website had been done by their son and it looked great. He obviously had a lot of talent for design, they all have a strong art background and that really showed in their website, but was it the best website that no one had ever seen? There was virtually no Search Engine Optimization work that had been done and so the website was hard to find unless you searched for the name of the restaurant. Now the restaurant is shut and that is the real tragedy. A husband and wife team, who have had more than their fair share of struggles in running a small business and that is the real tragedy of it. 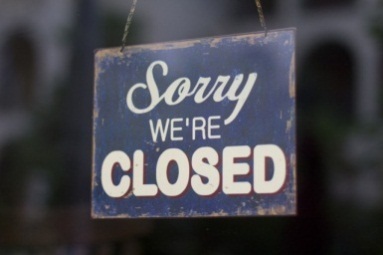 When a restaurant closes there is a huge financial and emotional impact for the owners and the team that worked there who will need to find a new job. 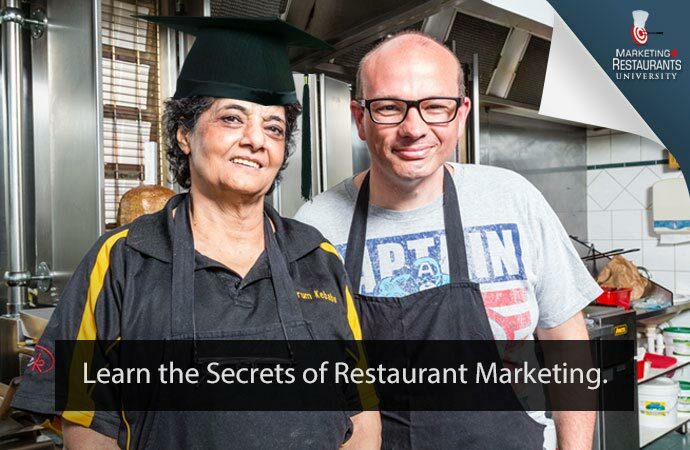 So let’s have a look at how an online marketing strategy should play its part for any successful restaurant. Find new customers – People are searching for somewhere to eat, and they use Google and Bing to do it. Your website needs to represent what it is you do, where you are and what makes you different. SEO (Search Engine Optimization) is difficult for a lot of people, but it is very important. Great SEO starts with avoiding putting text into your pictures, search engines can’t read them, and it means avoiding using Flash, because again, search engines can’t read Flash. This is one of the biggest problems with the closed restaurant’s website, it had beautiful graphics, but there was very little text for Google and Bing to index. This meant that the search engines did not know a lot about the restaurant. People looking for a type of cuisine. If there is no text on your website, Google will not refer people to your website because it does not know what type of problems you solve for people. I spoke to a restaurant owner a few weeks ago and they said they were not appearing in searches for Gluten Free in their area, but when we had a look at their website, it was not mentioned anywhere. Google is great, but it is not psychic – if you don’t tell Google you specialize in gluten free meals, it will not know. It is as simple as creating a custom page and telling a short story about your gluten free menu and the services you provide for people with coeliac disease. You also need to ensure that your website is optimized for mobile and tablets. 29% of traffic to restaurant websites is from a mobile device now, so if your website doesn’t work on a mobile, the customers on mobiles will go somewhere else. The text for your website should talk about your target market, niches that you cater for, the types of food, functions and customers you serve. Generally the more text the better, but if you don’t want to write a large amount of text, ensure that you are covering the important details. Convert those leads – Once someone is on your website, you need to convince them to become a customer. Great photos, the menu, the location, a map, open times – these are all of the things that customers want to know, and yet it is amazing how many websites make it difficult to find this information. You should also be taking bookings online. It means that you can lock them in and stop them looking at other restaurant websites. Build a database – Grab their contact details at every opportunity. You should be working hard to build your database because it gives you a way to increase customers during the quite nights mid-week and the quite months mid-winter. Customers should be able to join your mailing list, leave a business card, sign up for birthday offers and give you their email address when they make a booking. These are all simple ways to build your database. Having a mid-week special works a lot better when you send an email out to 5,000 people who have already had a great meal in your restaurant and want to be kept up to date with new offers. Assist with Social Media Marketing – Too many restaurants have a Facebook site that is in the Valley of Death of likes. Less than 250 likes is not a glowing endorsement of your restaurant. Your website should link with your FB page and Twitter account if you use it. Drive traffic from Facebook to your website and from your website to your Facebook page. Have unique but different offers on both so that people will want to be more engaged. How much does a 'FREE' website really cost?